It’s ‘summer’ time again, or rather, the hot season in Singapore, which means that refreshing cool snacks like jellies are very suitable for tempering the heat. Last year I experimented with the wonderful agar-agar, which creates jellies that do not melt in the tropical heat, making them ideal for putting in bento. The texture of agar-agar is firm and crisp. In contrast, konnyaku jellies are chewy or “QQ” in Chinese slang. Several years back, konnyaku jellies were all the rage in faddish snacks in Singapore; many stalls sprung up and soon disappeared (just like bubble tea, Portuguese egg tarts and Roti Boy). These days, you’d probably have to make konnyaku jelly at home if you want to eat it, which from my point of view, is a much healthier way to go, allowing you to bypass all those nasty artificial colourings and flavourings. Konjac (Amorphophallus konjac; syn. A. rivieri; Japanese: 蒟蒻/菎蒻; こんにゃく; konnyaku; Korean: 곤약; gonyak; Chinese: 蒟蒻; pinyin: jǔ ruò), also known as konjak, konjaku, devil’s tongue, voodoo lily, snake palm, or elephant yam (though this name is also used for A. paeoniifolius), is a plant of the genus Amorphophallus. It is native to warm subtropical to tropical eastern Asia, from Japan and China south to Indonesia. Konnyaku goes through various kinds of processing to make the different form it appears in commercially. This article provides a recipe for turning konnyaku flour into a versatile firm jelly, by adding an alkali, such as calcium hydroxide, usually in the form of pickling lime, or in traditional Japanese methods, extracted from eggshells. Konnyaku is often promoted as a healthy food as it is virtually zero-calorie and is high in fibre, rich in minerals and is alkaline (read here) as well as absorbing toxic substances during digestion and elimination (see here). However, so far all the brands of konnyaku jelly power I have come across in the shops contain various additives, sometimes in the form of colouring and flavouring, but many include carrageenan as the main ingredient, not konnyaku! Seaweed-derived carrageenan is used as a thickener and gelling substance. While carrageenan does not generally cause food sensitivity problems, it has been reported to be carcinogenic. However this article from the organic company, Eden Foods, clarifies that while chemically-treated ‘degraded carrageenan’ (non-food-grade) is a known carcinogen, food-grade or ‘undegraded carrageenan’, has been shown to be safe for consumption. Don’t forget that consumer agar-agar powder is also chemically bleached of colours and seaweed smells (see my earlier post). Making konnyaku jelly is easy as one simply needs to follow the instructions on the packet of the jelly powder. One packet is enough for one litre of liquid. About 250g of sugar is included in the recipe but this isn’t necessary at all, just add however much you wish. Having had great success with my earlier tea jellies – Pu-Erh agar-agar and mugicha agar-agar, I used the same idea to make konnyaku jelly. The Pinglin Baozhong tea is a very fragrant variety of oolong and the delicate aroma came through very well in jelly form. I added in a small amount of sugar — about 50g — which was perhaps unnecessary as it wasn’t enough to make the jelly sweet or add to the taste. For visual effect, I also used kiwi seeds, which are sold in dehydrated form right next to the packets of konnyaku powder in Phoon Huat. As you can see from this Phoon Huat video on how to make konnyaku jelly, for some reason kiwi seeds are presented very much as an integral part of the way to make konnyaku jelly – I have no idea why. The seeds are easily rehydrated by soaking in water for twenty minutes. The suggested amount was half a teaspoon of dehydrated seeds for 1 litre of liquid jelly, but in retrospect, I think twice that amount would have been fine too. The recipe for konnyaku jelly on the back of the packet says to use one-eigth teaspoon of citric acid. This makes the jelly more chewy. I forgot to add it in! but the texture was still very satisfactory. I wonder if the tannic acid in tea helped with that. The photo shows my snack bento with two konnyaku jellies. The good news is that I found that, like agar-agar, they don’t melt either. Yay!! I’m in a big konnyaku jelly craze right now. The other day, in the organic cafe at Fu Lu Shou Complex, Yogi DIY, I had a soya milk drink with flaxseed powder and cubes of honey (?) konnyaku jelly. The combination of flavours was very nice but I thought the preparation was rather sloppy as the flaxseed powder was in clumps and not properly stirred into the soya milk, while the jelly had obviously been made in a regular ice cube tray and the moulds overfilled such that the shapes were very untidy. It would have been much nicer to use ice cube trays in decorative shapes ☺ (plenty in Daiso!). The Urara range of bento equipment by Lube Sheep is one of the most common bento boxes/sets out there. Just Google and it appears that every other bento fan on the internet seems to have one, often purchased through J-List/J-Box. No wonder that Just Bento recently posted a review of the Lube Sheep lines. I was overwhelmed when I came across an entire wall of Urara products at Daiso recently. Tons of blue Dragonfly (とんぼ – a new Japanese word for me, which also brings back childhood memories of Tombow stationery ^_^! I still swear by their ‘Mono’ erasers! ), red Rabbit (うさぎ) and yellow flower (はな). Not only did they have these same long two-tiered sets which everyone seems to have (above), there was a two-tier box in a more stocky rectangular shape (volume: 250ml+ 360ml; total approx. 20ml more than the long version, which is what I chose) and even a two-tiered box with triangular upper half for a large onigiri! I can’t even find pictures of these other shapes on the official Urara homepage by the manufacturer, Nakano Lunch. Everything else you see on the Urara official page was also available at Daiso, with the exception of perhaps the boxy thermal bag. I didn’t buy the tiny plastic cup, but loved the quality of the bag which has a smooth, gauzy lining, great for storing miscellaneous odds & ends. There’s also a wonderful range of chopsticks in three lengths, one type with a cloth case and separate plastic boxes available for the other types. However, as I already have a much more convenient pair of folding chopsticks, I managed not to succumb to the Urara chopsticks. P.S. A word of warning: I had another Daiso disaster (see my previous disasters here and here). One of the handles on a lunchbag I bought broke when I put a 1 litre water-bottle inside it, along with my bento box. 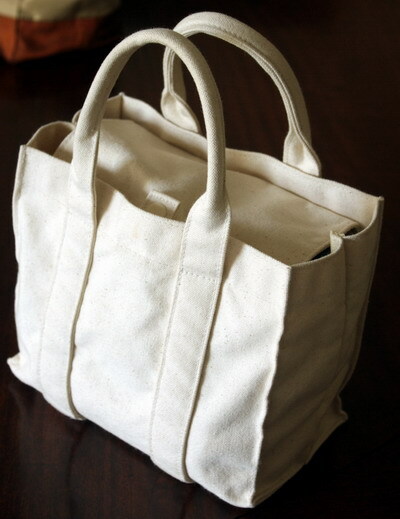 It was the only bag I had with a square base – just right for the square type Lock & Lock box. I have since consoled myself with an extravagant Muji purchase (especially compared to S$2 Daiso items!) – more on that one later (^_^)! If you need ideas on how to incorporate into your daily life all those thousands of Daiso household items you had no idea you needed, or couldn’t figure out to use, this is the book for you: 39元的幸福生活 [39 Yuan Happy Living]. Chinese-readers will get the most out of the explanations but non-Chinese-readers can also enjoy the aesthetic layout design and beautiful photos showing household set-ups using various items from 100¥ shops. Budget zakka! Many of the products are instantly recognisable as Daiso ones, but that’s not the only source of these cheap items. Unfortunately, Daiso is the only such 100¥ shop we have in Singapore :(, but if you are in Taiwan, this books lists other similar stores in major Taiwanese cities. The cooking section includes simple recipes, as does the section dealing with bento products. Actually, this book is quite an indulgent purchase because the Singapore Kinokuniya price is almost ten times what a single item from Daiso costs :P.
I love my calculator-style kitchen timer as I wrote earlier. However, as Canton Pixie has pointed out in the comments here, there are times when you need more than one timer, and one can’t really afford to buy too many of those fancy ones. So I was pleased to find these S$2 made-in-China ones at Daiso today. Though after my experience with various other cheapo items here and here, I don’t expect too much in terms of quality. I’ll let you know when the cute pink thing dies.